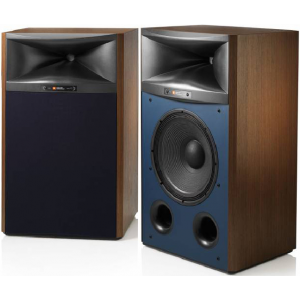 JBL S4367 is a high output low distortion speaker with very little power compression delivering accurate sound and effortlessly earning its status as the flagship of the Studio Monitor series. 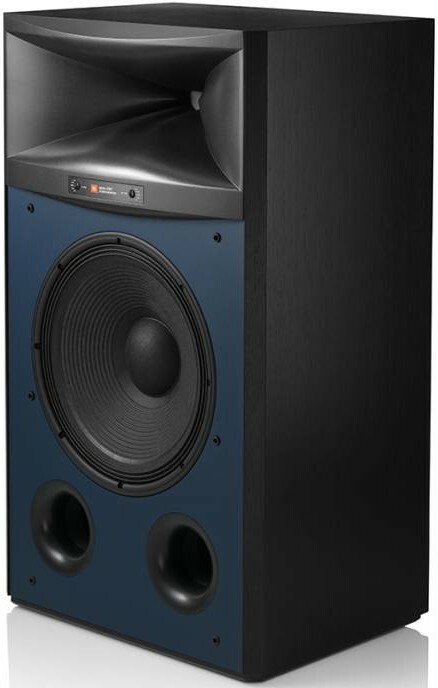 JBL S4367 high-performance 2-way floorstanding loudspeaker is based on the same pro-level technology used in the popular JBL M2 Master Reference Monitor, one of the most enhanced and complex loudspeakers currently on the global market. S4367 incorporates a cast-frame 15" woofer with a dynamic patented Differential Drive dual 3" voice coil and neodymium motor structure for outstanding performance in the low to mid frequency range. Upper-mid and high frequencies are replicated via D2430K 3" dual diaphragm, dual voice coil compression driver with dual neodymium motors and proprietary HDI (High-Definition Imaging) waveguide horn technology which provides elevated performance together with the D2-Series compression drivers. This motor system is a strong dual-voice-coil, dual gap system for great efficiency and more control of the moving parts, leading to lower distortion than typical woofers. It also has shorting rings, a flux-stabilising ring, saturation tips and a heat-conducting ring for a superior linear motor with top power handling. The dual voice coils are built using a patented wire application for an ultra-low thermal response of voice coils to applied power drastically reducing output-robbing power compression of conventional speakers. 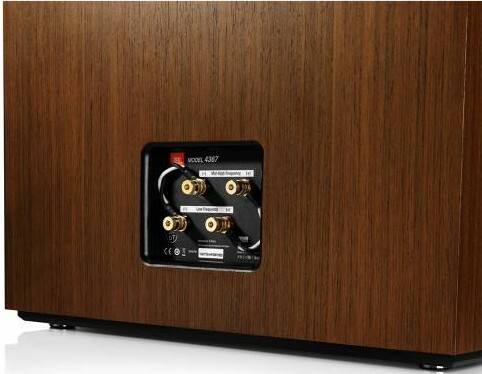 S4367 operates in a 25–300Watts suggested amplifier power range to deliver optimal sound and output. With an even and wide frequency response, sound is immensely smooth and extended in all directions. 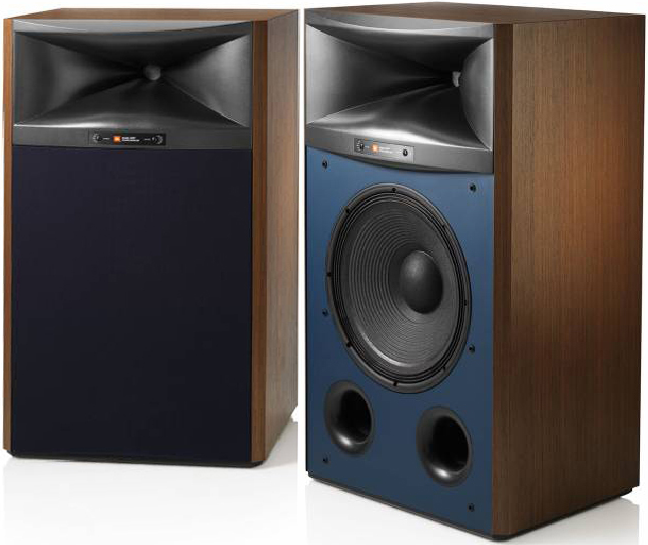 Front-mounted ports extend bass response and together with exposed horn and blue baffle add to the vintage JBL Studio Monitor design. The furniture grade wood veneer cabinet is internally braced at critical points and is tuned via dual front-firing ports. Front-panel includes high-frequency and Ultra-high-frequency trim controls while dual binding post inputs support bi-wire or bi-amp configurations. For many years, classic JBL speakers have perfected the standard of luxury audio and this translates in S4367's offering of a high-performance audio experience.